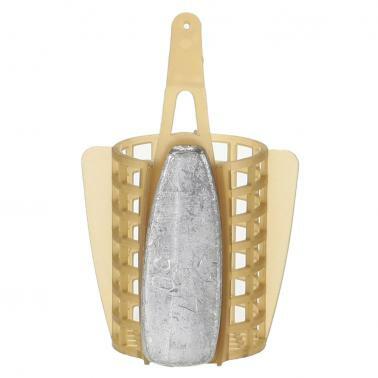 Fishing bait cage with lead sinker, great fishing tool for anglers. Made of high quality nylon and pure lead, environmentally friendly and durable. With lead sinker, easy to cast.